This GUI allows to analyze quantitatively slip transmission across grain boundaries for an EBSD map. For more details about the format of the EBSD data, see also the page Experimental data. Figure 15 The different steps to load data into tge EBSD map GUI. The smoothing algorithm allows to decrease the total number of grains boundaries in order to speed up calculations and plots. Figure 16 Screenshot of the EBSD map GUI with an EBSD map of near alpha phase Ti alloy a) before smoothing and b) after smoothing. Figure 17 Screenshot of the EBSD map GUI with an EBSD map of near alpha phase Ti alloy (GBs color-coded in function of the maximum misorientation angle value). Figure 18 Screenshot of the EBSD map GUI with an EBSD map of near alpha phase Ti alloy (GBs color-coded in function of the maximum m’ value). Figure 19 Screenshot of the EBSD map GUI with an EBSD map of near alpha phase Ti alloy (GBs color-coded in function of the maximum m’ value obtained for slips with the highest generalized Schmid factor). 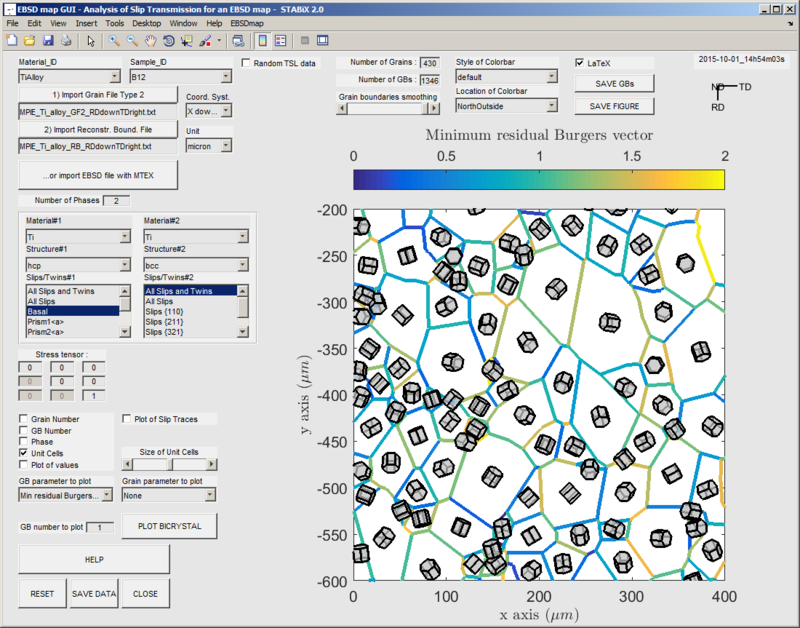 Figure 20 Screenshot of the EBSD map GUI with an EBSD map of near alpha phase Ti alloy (GBs color-coded in function of the maximum residual Burgers vector value). 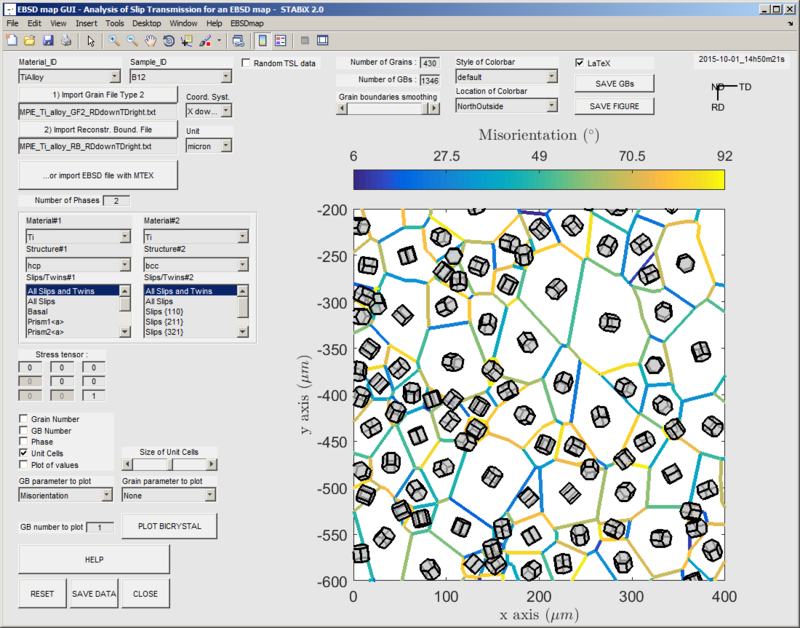 Figure 21 Screenshot of the EBSD map GUI with an EBSD map of near alpha phase Ti alloy (slip plane plotted inside grain and slip traces plotted around unit cells, both in function of the maximum Schmid factor calculated with a given stress tensor). It is also possible to plot the structure of octahedral and tetrahedral interstitial defects. Figure 22 Octahedral (red) and tetrahedral (blue) interstitial symmetry polyhedra in a face-centered cubic, body centered cubic and hexagonal lattices.